A remarkable formula. Three bottles adorned with gold thread and white wax seals. The greatest concentration of ingredients from the Château d'Yquem harvest of the year 2016. 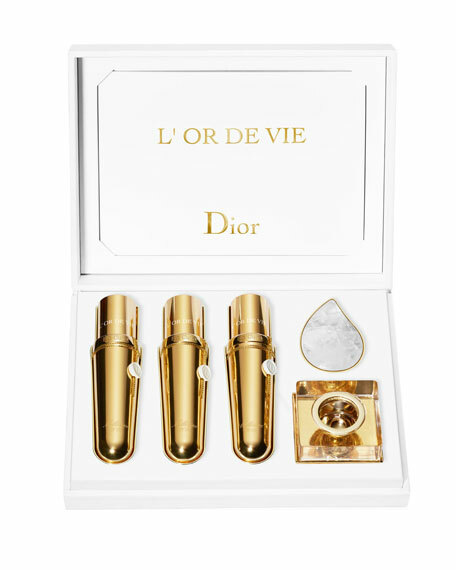 Dior unveils its ultimate masterpiece: L'Or de Vie La Cure, limited-series vintage skincare. In 3 months, the skin's youthful beauty is as if revived. Facial contours appear resculpted. In Yquem, the soil's extraordinary mineral wealth gives the wine its exceptional character. The majority of the property is rich in polished, translucent white quartz. It forms a protective layer of armor on the soil's surface thanks to its neutro-thermal properties, insulating the vine from changes in temperature and promoting soil drainage. 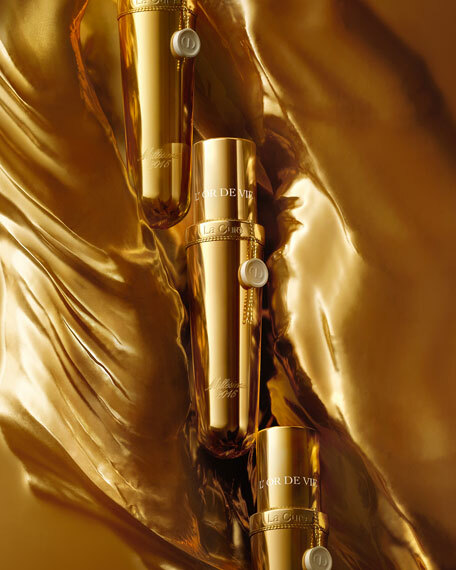 Dior delivers all the power of Yquem White Quartz to the skin with the new L'Or de Vie La Cure applicator: the Quartz Drop. Sculpted from a single block and polished, it helps boost the skin's youthful appearance, beauty, and firmness  without any heating. A BEYOND SPECTACULAR TRANSFORMATION, THE FACE APPEARS REDEFINED. Once the regimen is complete, the results achieved with La Cure are amazingly prolonged over 3 months. *Self-evaluation by 32 women over 3 months. **By using L'Or de Vie Le Sérum again. Obtained after pressing the grapes, Yquem marcs are known to fertilize the soil, stimulating the vine's new life cycle. Their composition varies every year as a result of climatic influences. 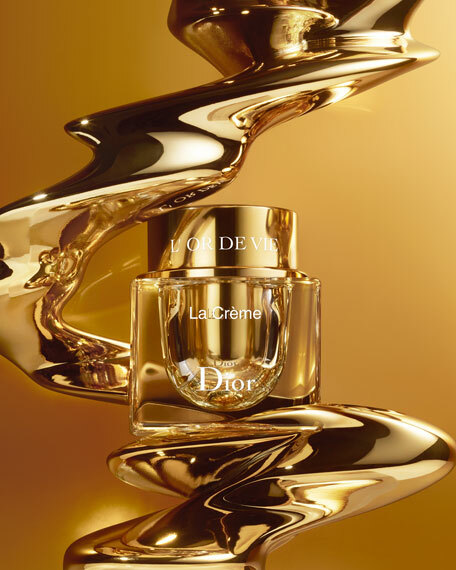 Dior Science has perfected a high-precision extraction process to capture the molecular fingerprint of marcs. Yquem marc extract recreates at the heart of the skin an environment that encourages "cell fertility". Skin cells become more dynamic. They then produce more matter essential to the skin's beauty. The fruit of this unique region and its expertise, Yquem Sap is the most incredible ingredient from the Dior Gardens. Intense smoothing & deep draining. Start by using the flat side of the Quartz Drop, smoothing it over the entire face. Then continue by smoothing wrinkles with the tip of the Quartz Drop in a back-and-forth motion, as if to sand the base of the wrinkle. Use the curved edge of the Quartz Drop to help drain the eye contour, forehead and cheeks. Finish with a gentle, wide-sweeping massage to prolong the draining effect down to the neck. 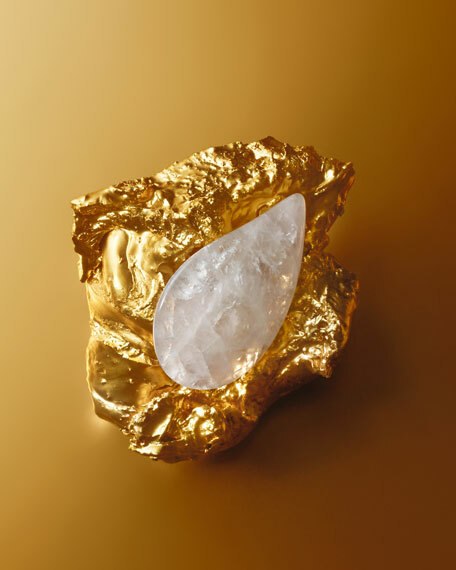 Prolong the feeling of well-being by placing the Drop delicately on the forehead, between the eyebrows, while you succomb to the soothing feeling evoked by the freshness of the Quartz Drop. For in-store inquiries, use sku #2447668.